Published March 26, 2010 at 400 × 297 in Art. In this picture I wanted to show how that when God grips our hearts and His love flows through us, as we join together, we can reach the world. 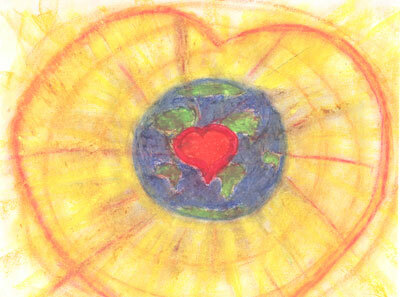 God’s love is so much bigger than the world and it radiates and brings light.